Reid earned a reward after weeks of bribing him to tell us when he needed a new diaper. One morning he woke up and told Christian right away. So off to Market we went! Of course Carter got the reward too because...donuts!!! 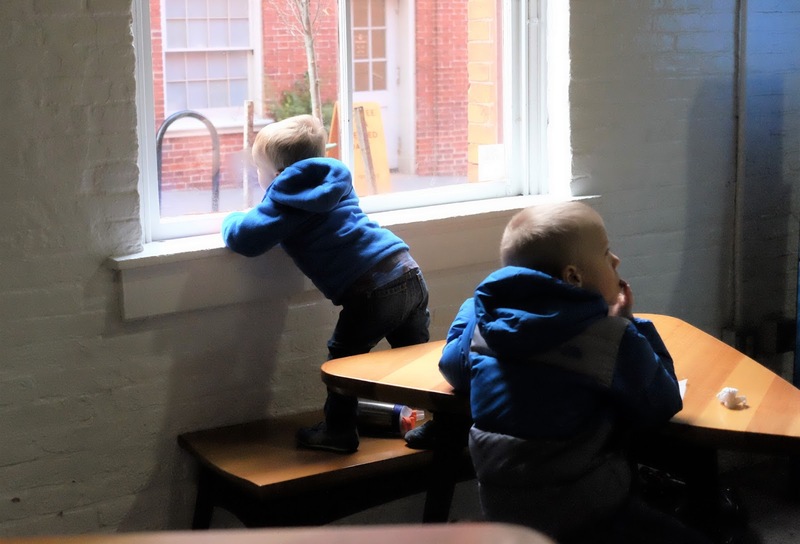 After Reid finished his donut he was looking out the window and admiring the fire escapes on the buildings across the alley. He was obsessed. Carter & I are totally ready to spend another Tuesday morning at Market. Yay Reid! Way to go! I want to go get donuts! What a fun morning! Go Reid go!